Great location. The host was super nice and explained us everything. 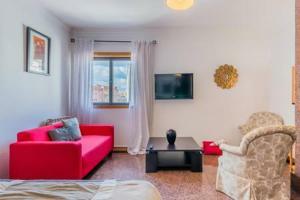 Staying at the Miguel Torga apartment was a great pleasure for us. 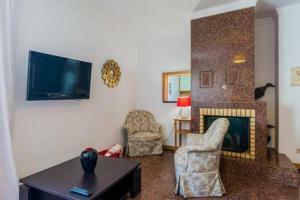 The location was great, the facilities and the condition of the apartment were excellent. But the most important is that the owners (Paula and Francisco) were very helpful, warm hearted, and fun people. The only regret is that we didn't stay in their apartment more time. The location is excellent with a walking distance from the center of Coimbra. The apartment contains all needed equipment. The host is very helpfull. Very comfortable staying for up to 2 persons. Great location close to historic centre. Secure entry and secure parking free of charge. No charge for the dog. Very clean and well equipped. Local knowledge gave a good overall insight to the town. The apartment was spacious and Francisco was extremely helpful and provided a guide to the town and sightseeing. There was an underground car park for the car. Good location. Francisco’s friendly advice and local knowledge directed us to a great place to eat (Cafe Se Velha) and some excellent free Fado at Cafe Santa Cruz. The location is just perfect, it is right in the center of the town. Car can be parked in the basement, which is very convenient. 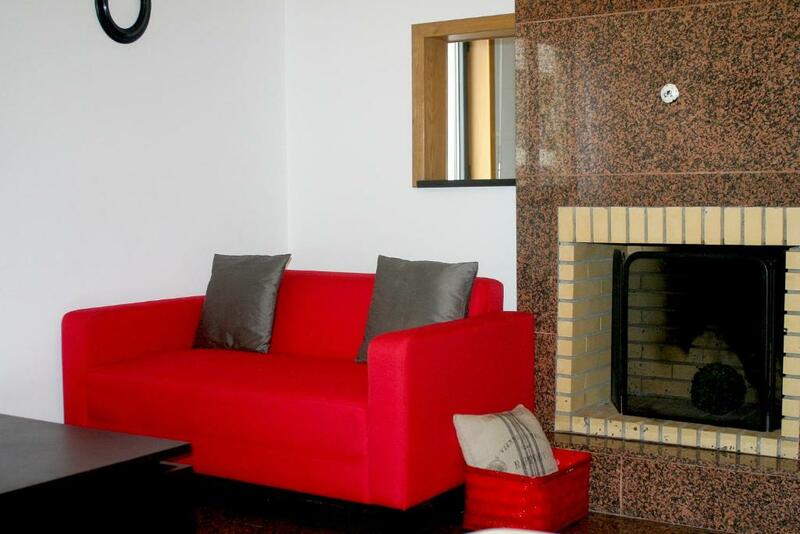 For the rest the apartment contains everything that is needed for up to 2 persons. Nice comfy apartment. Very helpfull host. Coimbra is very special. Had a great time. The apartment was incredible! 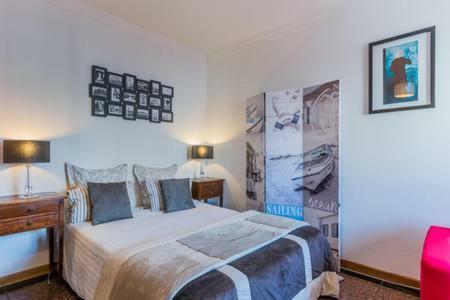 Unbeatable location, a walking distance from the absolutely stunning central attractions and cafes of Coimbra. 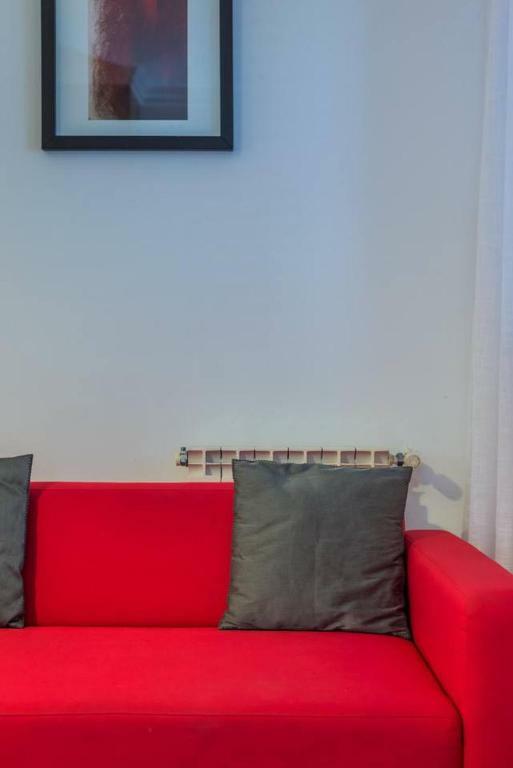 The flat is great - perfect for couples. It has a bath tub as well. There is enough space for both people, besides the bed, there is a sofa to chill on as well. The wifi was smooth and fast. There is enough space in the flat and everything is great, there is a washing machine as well. The host was reliable - he waited for us even though we got lost. He made himself very available to us, he said we can call him even at 4AM if we have any questions or if we are in any sort of trouble. 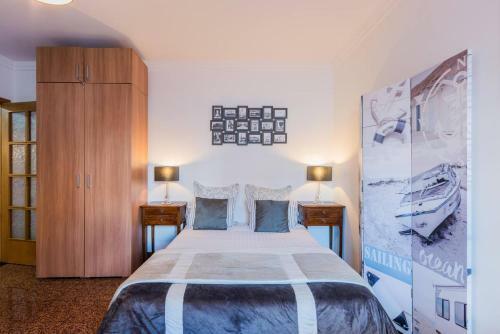 Lock in a great price for Miguel Torga Apartment – rated 8.8 by recent guests! One of our best sellers in Coimbra! Miguel Torga Apartment is located in Coimbra. 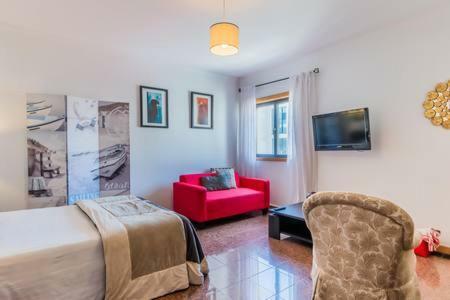 Housed in a building dating from 2010, this apartment is an 18-minute walk from the Portugal dos Pequenitos and has free WiFi. Featuring city views, the apartment features a flat-screen TV with satellite channels, a seating area, a closet and 1 bathroom. The kitchen comes with a dishwasher, an oven and a microwave, as well as a coffee machine. Santa Clara a Velha Monastery is one mile from the apartment, while S. Sebastião Aqueduct is 1.4 miles from the property. When would you like to stay at Miguel Torga Apartment? This studio has a kitchen, tumble dryer and microwave. O meu alojamento é um alojamento moderno com todas as comodidades localizado no coração do Centro da cidade. 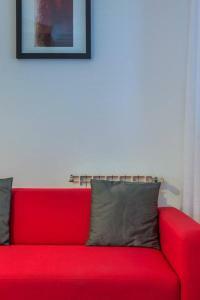 House Rules Miguel Torga Apartment takes special requests – add in the next step! Please inform Miguel Torga Apartment of your expected arrival time in advance. You can use the Special Requests box when booking, or contact the property directly using the contact details in your confirmation. The bed was pretty firm and you could feel the springs so it wasn't the most comfortable bed. Location, location, location. You are just around the corner and down the street from city center. Of course, for parts of the city visit you must climb hills but this apartment's location is perfect for exploring. On the practical side, there are 3 grocery stores within a few minutes walk. There are restaurants everywhere and again, you are within a few minutes walk to being in the middle of everything. The apartment is spacious and has a well equipped kitchen. Good wifi. The owner met us with the keys and showed us to our parking space in an underground garage just behind the apartment building. He sat with us and a map and told us all the places not to miss, where good food could be found and everything else you might need to know. It was a huge help with deciding how we would spend our days in Coimbra. There is no AC so I'm not sure how warm it would be in hot, hot weather. Also, leaving windows open at night might not be practical because of neighborhood noise. We had hot days and cool nights and there is a fan. We shut down windows at night and ran the fan for background noise and we were comfortable. I would hightly recommend the apartment to family and friends. The living room is small and the bed is standing just next to the couch. Based on the description, we assumed that the bedroom would be separate but it appeared that an error was made in the translation to English. This was not caused by the host though, he has been very kind. For us it was hard to make it work with our 9M old baby, we would not recommend the apartment for families. Bidet leaked so did not try bath but otherwise great. The bed was the most uncomfortable I have ever slept on. We had to buy two pillows as the ones provided were totally inadequate. All the furniture was wrong for the apartment making the space nearly unusable. The wardrobe was sticking out in the middle of the room and the coffee table was too large for the apartment. The kitchen table was too large for the kitchen. The garage was shut on Saturday after 15.00 and all day Sunday. Our car was on a lower level and only be accessed via the vehicle ramp as the pedestrian entrances were all locked. We did not know this and became trapped in the open air atrium for over an hour until one of the residents of the building used his key to help us. We were not given a pedestrian key to access our car from the lift from our apartment. Francisco the host who let us in did come to help us but we has already "escaped" before he arrived. Francisco was very welcoming on our arrival but we were tired after a long drive up from Faro and he stayed for an hour drawing an unsuitable map and explaining what sights to see. Booking,com said "city views". This apartment looked onto an ugly block of flats. Dish washer and washing machine. Great location. Lots of hot water and heating when needed. The shower head is so low it's impossible to take a shower standing up. The bed!!! Poorest bed in 20 days in Portugal. Mattress needs to be replaced. Overall quality not comparable with our other stays in Portugal. The host was a bit pushy and came off too strong. He made us re-park to the -5 level of the apartment building which seemed unnecessary, and in the midst of his very chaotic giving of directions to park in a really narrow spot, we scratched our car. When we were back in the apartment, very tired and hungry as we came at a very late time, he kept going on and on about the places around the flat, drawing a map, when all we wanted to do was have a quick shower and have food somewhere, it was not an appropriate welcome. Also, beware of some of the back streets, they're okay but can feel dodgy, it's a nicer walk on the bigger streets. Number of supermarkets around, train station nearby. Safe entrance. All what you need in the apartments, feels like home, enough space. At the time of our stay there was a water supply system accident, so we didn't have a chance to try the jakuzzi. Host Francesco was extremely helpful in the situation of water supply accident.